Most users don't need to bother with the Command Prompt. Heck, most users don't even know what it is! Nonetheless, some of us need it on a daily basis. If there's one thing I hate about good ol' cmd is having to navigate to the directory you're currently in... Fortunately, there's a simple trick that will save you that hassle. Using Windows Explorer, navigate to the directory in which you need the Command Prompt. Now, while holding shift, right click anywhere in the white area (by that, I mean not on any of the files). 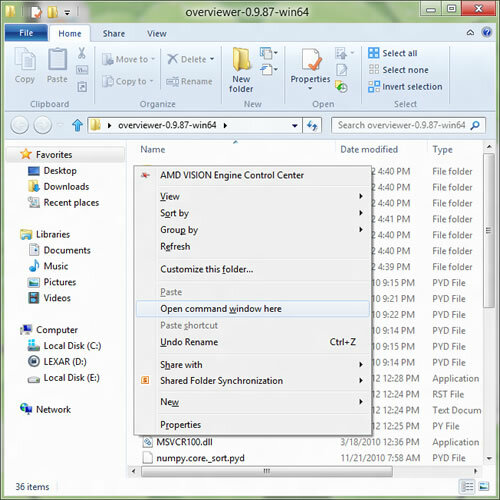 This will bring up the standard contextual menu but behold... you now have the "Open command windows here" option! That's it! I hope you've appreciated this post and that it saved you a few minutes!